Fortnite players are working their way through the Week 5 challenges for Season 7. 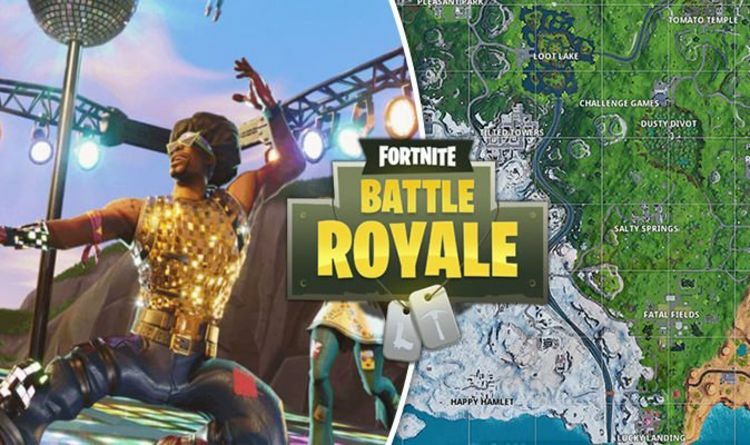 Week 5 challenges involve dancing on various structures, landing at different locations and eliminating enemies from up close. One of the more interesting challenges tasks players with searching between a Giant Rock Man, a Crowned Tomato and an Encircled Tree. Fortunately, this particular challenge is pretty straightforward when you know where to look. The mission can be completed by heading east of Tomato Temple, but before the entrance to Wailing Woods. The Battle Star in question will appear on top of a small hill on the border of G4 and H4 on the map. Take a look at the image above for the exact location, and remember to finish your game to unlock the reward. Another one of the Week 5 challenges tasks players with dancing on different towers, beginning with a Water Tower. The water tower can be found in the south-east part of Retail Row. A PvP hotspot, it's a good idea to land on top of the tower at the beginning of a game instead risking death by building a ramp. The second stage of the challenge tasks players with dancing on top of a Ranger Tower. This is the huge structure in the southern part of Lonely Lodge (J10 on the map). The final part of the challenge tasks players with dancing on top of an Air Traffic Control Tower, which can be found in Frosty Flights (B8) on the map).